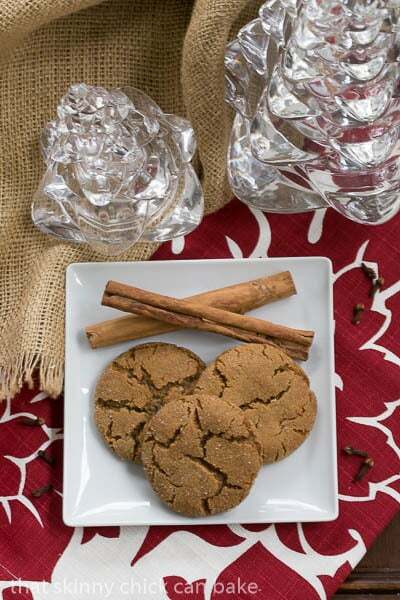 These Triple Ginger Snaps will delight your palate with ground ginger, crystallized ginger and fresh ginger. Chewy ginger cookies are truly one of my favorite desserts. This amped up version is perfect for the holidays, cookie exchanges and after school treats! 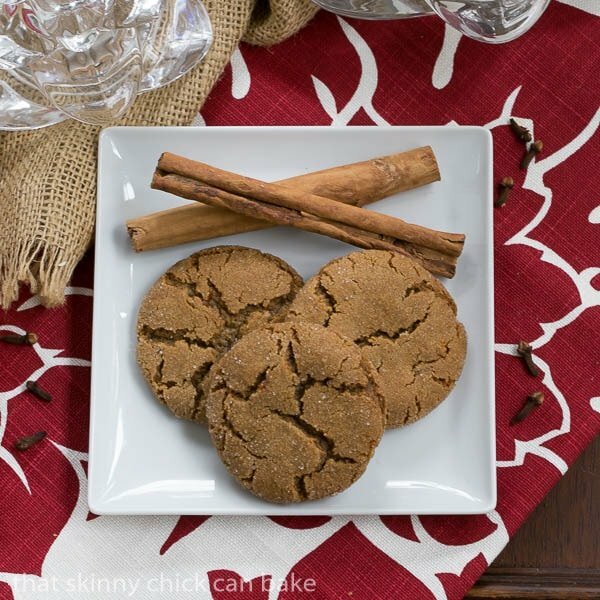 I bet your crew will love these gingersnaps as much as mine does! Bill and I have each influenced our children. He loves Oreos; they love Oreos. I am not a fan. The kids love ginger cookies, I love ginger cookies. He will not touch them. If he married some other gal, his children would most likely be eating canned beanie weanies and boxed mac and cheese. Thank goodness our children are well rounded. And that they love my chewy ginger snaps. My standard, go-to recipe is full of warm spices and molasses. 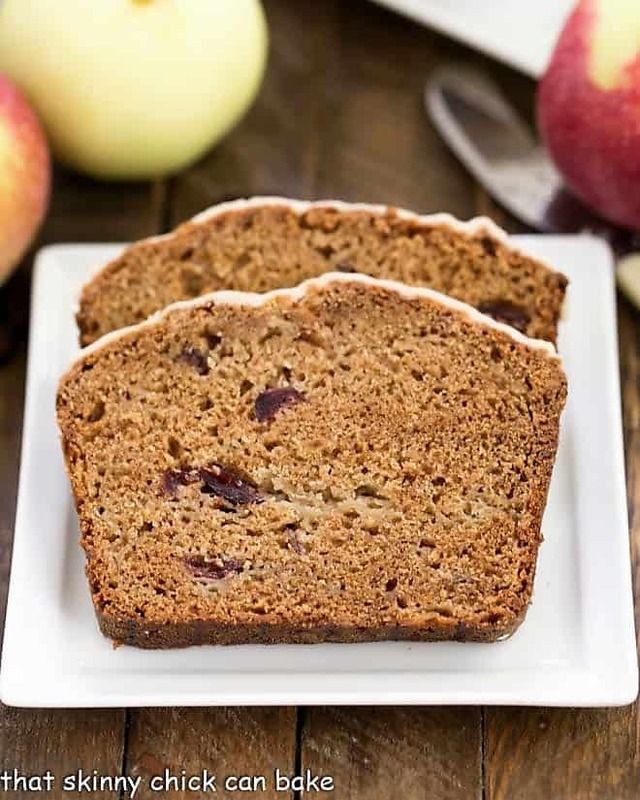 The ginger in this version is amplified by using powdered ginger, fresh ginger and crystallized ginger. Perfect teatime cookie and perfect holiday cookie! I first baked these up in 2009 when they appeared in the December issue of Bon Appetit. 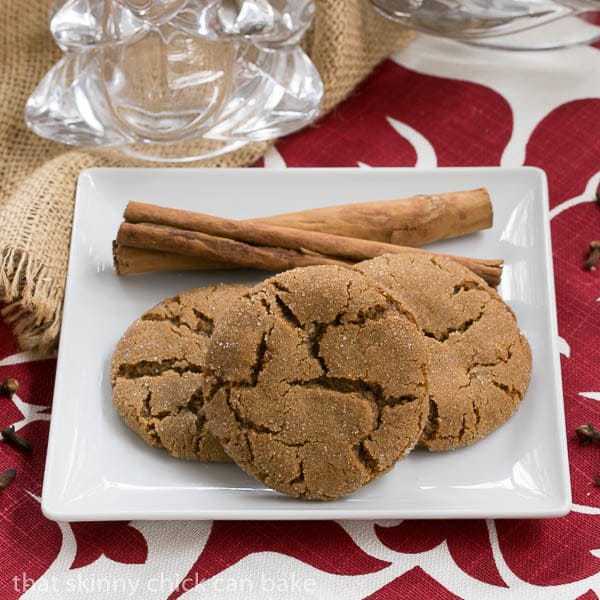 These sassy cookies were an instant hit with their intense ginger flavor. I’ve tweaked them very slightly to make prep easier. If you are a ginger fan, you’ll love these babies! Preheat oven to 350º. Line baking sheets with parchment paper. Whisk flour, crystallized ginger, baking soda and salt; set aside. With electric mixer, beat butter till light, then add brown sugar and beat till creamy.Add egg, molasses, fresh ginger, ground ginger, cinnamon, and cloves. Mix to blend. Add flour mixture and beat on low just till incorporated. Pour some sugar into a shallow bowl. 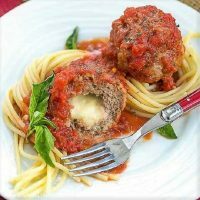 Scoop out rounded tablespoonfuls of dough and roll into balls between hands. Roll in sugar to coat, then place on baking sheet. Repeat with the rest of the dough placing about 2 inches apart. Bake cookies until surfaces crack and cookies are set around edges but still slightly soft in center, about 15 minutes. Cool for 5 minutes on cookie sheets then remove to cooling rack to finish cooling. Welcome to the day 4 of Cookie Week, hosted by Kim of Cravings of a Lunatic and Susan of The Girl In the Little Red Kitchen! We’ve teamed together with 10 other talented bloggers to bring you 5 fantastic days of cookie recipes to get you in to the holiday spirits. Are you feeling like a cookie monster yet? If not you should be – because resisting all these delicious cookies is nearly impossible! Our sponsors for this event have provided us with some great prizes and we’d like to extend a huge thank you for their generosity. Thanks to Imperial Sugar, Circulon, Peanut Butter & Co. and Page Street Publishing for being a part of Cookie Week! This giveaway has ended. 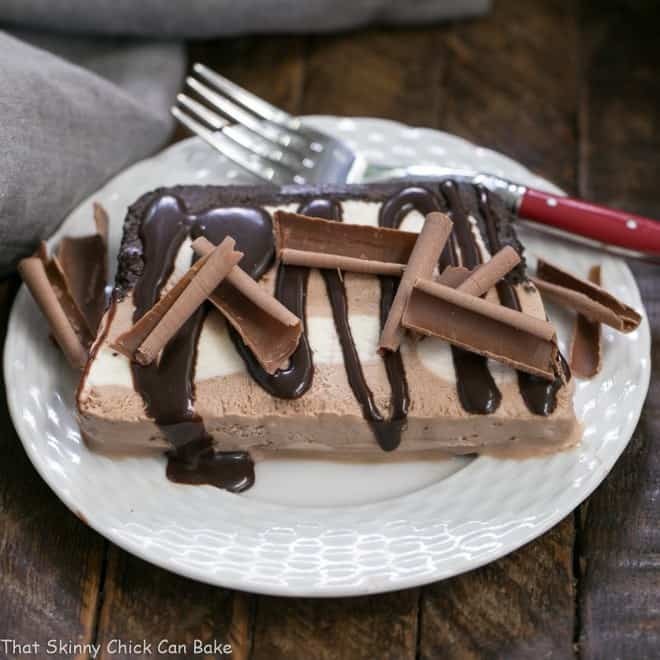 Take a look at what’s coming out of the bloggers’ ovens today! Well, thank God Bill married you because you can’t be giving kids canned beanie weanies and boxed mac and cheese!!!! 😛 I LOVE ginger snaps!!! and these have like triple the ginger?!!! oh my GAWD, I love these!! I love to use my basic sugar cookie recipe and let the kids decorate them. 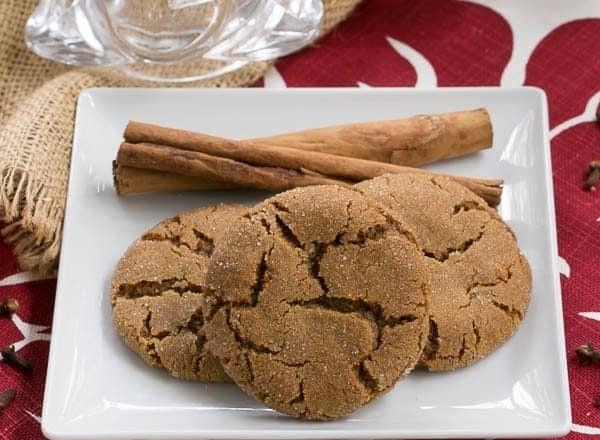 I’m a huge ginger fan and adore ginger snap cookies. I especially like to use them in my sauerbraten recipe (without the sugar topping of course). These cookies looks wonderful, Liz. I adore ginger cookies! These look awesome, Liz. I like making chocolate crinkles and Russian tea cakes for Christmas. I LOVE gingersnaps! And I love them chewy and extra gingery. 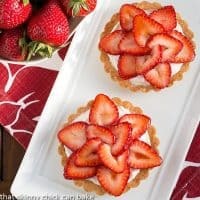 These look perfect, Liz! ohhhhh I bet these cookies just smell like Christmas! Beautiful ginger cookies.. today I’ve made some cookies with my daughters.. they really enjoyed it.. will have to try these as well..
Hope those children realize the narrow escape they had when their father had the good sense to marry you. See, I am giving him some credit too. And that is how we build consensus. Gorgeous ginger cookies, Liz, as always. I’m still laughing at beanie weenies and boxed mac and cheese. Ginger snaps are what I think of when I think of Christmas because it’s the only time of year my mother would make them. Not that she made anything quite as pretty as yours. What deliciousness! I can imagine dunking one of these cookies in a nice cup of tea! These look like the best ginger snaps, love that triple hit of ginger! OMG you got the magic touch with cookies! These look perfect, the textures, just the right amount of cracks! Beautiful work as always! I like to bake sugar cookies and snickerdoodles during the holidays. These are lovely cookies. I love ginger cookies and the hubby isn’t a fan but I’ve gotten him to eat a few. I love making peanut butter cookies! But I want to try new recipes this year. The ginger snaps look awesome. I’m with you, Liz. Ginger cookies are the best, and I really don’t care for Oreos. I usually make my grandmother’s ginger snap recipe, but I could definitely make an exception for a three-ginger cookie! Hmmm my favorite holiday cookie would definitely be Chinese Spice Almond cookies. Goodness I love those…All year I look forward to those cookies and Thanksgiving dinner. My mom was a huge gingersnap fan and she would have loved these. I like using them as a crust for cheesecake. I like to make Almond shortbread cookies for the holidays I color them with a little green food coloring. Hey Lizzy I do love a good ginger cookie! I often make Dorries recipe but this looks like a great recipe. Three kinds of ginger has to be yummy. I teach a lesson in our church’s woman’s organization –Relief Society. I taught last Sunday, it was my birthday so I made everyone a yummy ginger cookie drizzled in white chocolate. They were a hit. My lesson on gratitude turned out good too. 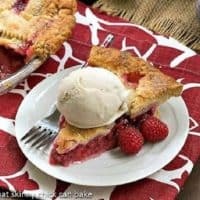 I’m grateful for good cooks like you that share yummy recipes! 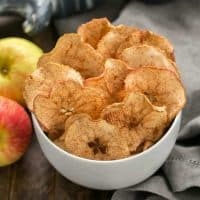 These cookies sound perfect both me and the other half love ginger and we will certainly enjoy these on our holiday table. Ha! Ha! Canned Beanie Weenies and box Mac and Cheese! You really gave me a good chuckle at that image. I have totally changed my hubby’s palate since marrying him. He does influence the kids when it comes to sweets and desserts. I get them on the savory/spicy food. My fave cookie to bake during the Christmas season is sugar cookies that i then decorate using the outline and flood method. they really seem like the holidays to me when I am done and plate them during parties or box them up to give away. i esp. love when kids decorate them b/c they have such vivid imaginations and think outside the box better than I can. 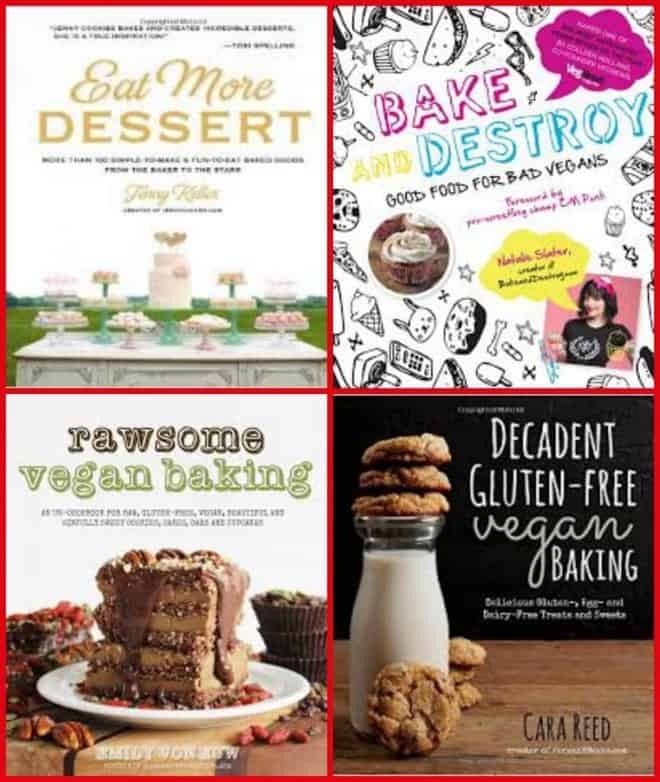 I love this giveaway…it’s a baker’s dream come true…thx for hosting it!!!! I love baking sugar cookies, they’re so easys to decorate and taste delicious! Hehe, too cute about the beanie weanies 🙂 Bill and your kids are so lucky to have you making all these amazing recipes for them 🙂 I love chewy ginger snap cookies and yours look absolutely perfect! 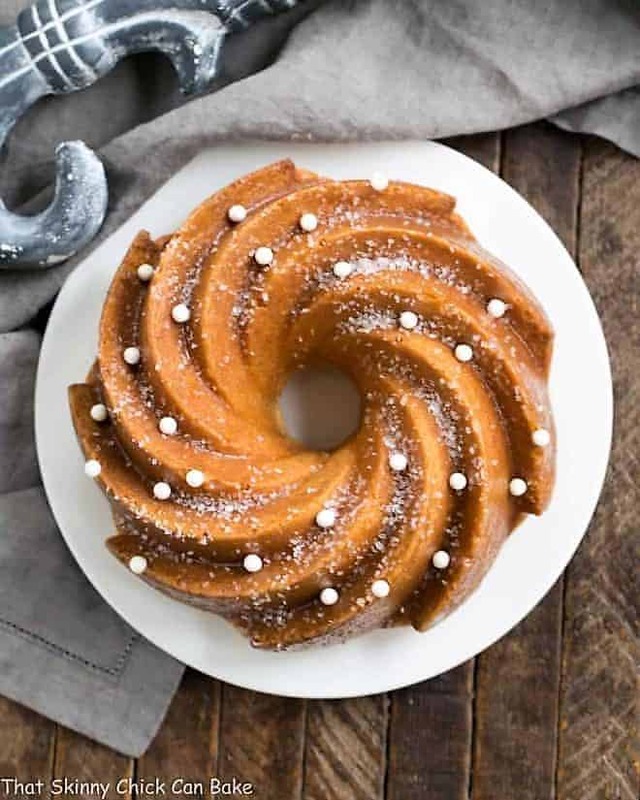 YUM, I am crazy about gingerbread and this recipe looks awesome, a great new twist on an old classic! Hi. I just took these cookies out of the oven. They did not spread much and are still quite thick. I followed the recipe to the letter. Any idea of what might be the cause? They sure smell good though! Hmmmm….I’m not sure! My recipe has a little more molasses than the Bon Appetit version and you’d think that would make the dough spread a little more, not less. Was your butter at room temperature? I’m guessing yes. And was your baking soda fresh? Those are my only guesses of what could have gone wrong. I hope they’re still delicious!